highway A7 direction Gravellona Toce, take A21 direction Alessandria Ovest, then A26 exit Alessandria Sud, then proceed towards Nizza Monferrato – Canelli. highway A26 direction Gravellona Toce, wxit Alessandria Sud, proceed towards Nizza Monferrato – Canelli. 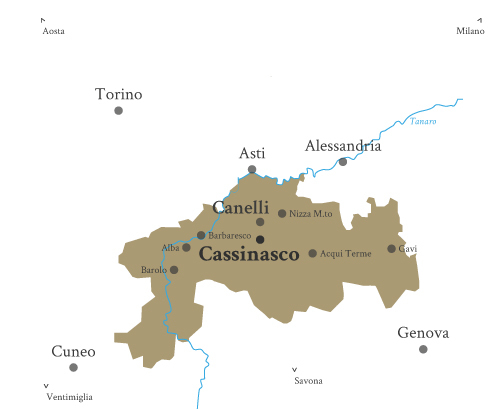 take E70 and reach Asti, then take A33, exit Nizza – Canelli, continue on SP 456 del Turchino, towards Canelli, then Cassinasco. Visit our winery and walk through our vineyards. Book a visit and we will be happy to welcome you and show you how we make wine.